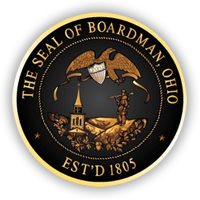 The Boardman Township Zoning Office receives hundreds of complaints a year regarding residential, commercial and industrial properties. While violations regarding commercial and industrial properties tend to be of a more serious nature, complaints about residential violations can be more easily resolved without the need for citations. The most frequent residential zoning violations involve the parking of motor vehicles on the grass; the storage of junk and debris in an exposed manner; and the lack of basic maintenance on dwellings, garages, sheds and fences. Park your vehicles on hard-surface paving that consists of concrete, asphalt, or other material as approved by the Zoning Inspector. Do not park commercial vehicles in excess of 3/4 tons on your property, or boats and trailers in excess of 20′. Do not park wrecked, dismantled and/or unlicensed vehicles on your property unless stored within a garage. 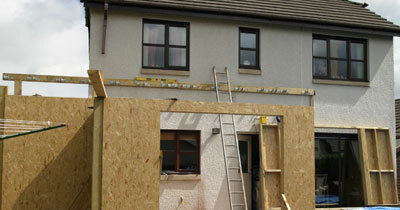 Maintain the exterior walls, windows, doors, roofs, gutters and downspouts of your home, garages and sheds. Keep your exterior property clean of junk and debris. For the benefit of police and fire safety services, clearly identify and mark your house number on the front of your home. Respect your neighbors by not placing your trash, garbage and other debris at the curb for pick-up too early. Mow your grass on a weekly basis. Thanks for being a good neighbor from the Boardman Township Zoning Department!